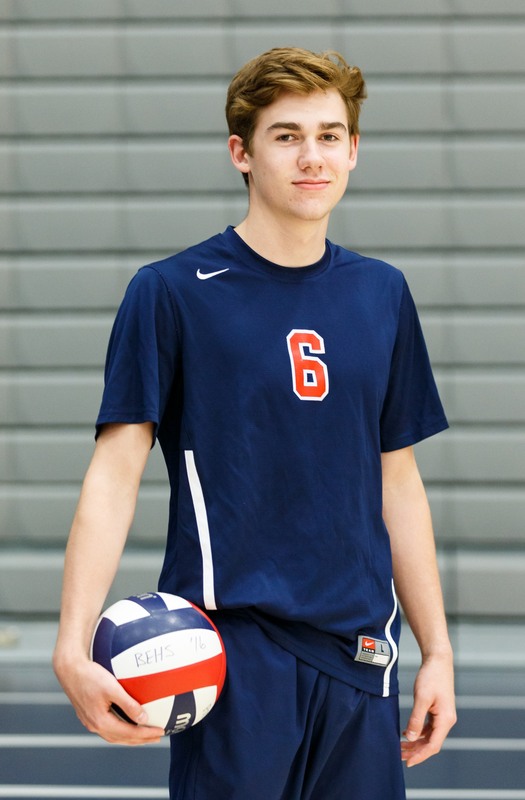 If you understand how cool it is to have a home run hitter who can pitch or a point guard who can rebound, then you understand how happy Brookfield East boys volleyball coach Tim Owen is to have senior Nick Watry the past four seasons. Watry is one of the state's two non-seniors who earned All-State honors (high honorable mention) last fall. He returns this season with a chance to send the Spartans to the WIAA State Boys Volleyball Tournament for the third time in his four seasons. What makes Watry so special is his ability to be a setter and an opposite hitter, which has totally different skill sets. As an opposite hitter, Watry, a lefthander, plays in the front row on the right side and is an offensive player. As a setter, he is in the back row and it is his job to set up (pass) other hitters. "I think it definitely keeps it interesting, playing lot of roles and making a big impact," the likeable Watry said. Owen pointed out it is very unusual to have a player who can do both. "It's uncommon. Most high schools - probably because they have one guy who is head and shoulders above the other guys - mostly run a 5-1 (with a setter in the back row all the time)," he said. "Not many run the 6-2 (two setters). Being a lefty helps a little bit, as he plays the opposite position (right side), which is more natural for a lefty to hit. It was a natural for him. "In a 6-2 there are always 2 setters who set when they are in the back row. You rotate in volleyball but can't skip spots. At all times in a 6-2 there are 3 front row attackers - meaning there are a total of 6 attackers where as in a 5-1 it's the same setter so when the setter is in the front row only 2 attackers are with the setter. A 5-1 stands for 5 total attackers and 1 setter. "For example when Nick is front row he hits as an opposite attacker and at that point Noah (Wilgus) is in the back row and sets for his 3 rotations. When Nick rotates to the back row he becomes the setter. Noah would rotate to the front row. We sub Noah out but his position becomes another attacker so when Nick sets back row there are 3 front row attackers. "He is very rare if you look around the state; being a setter, who can also hit. I can't think of too many more. It's very rare and he's very dynamic, in terms of his swing as well." Owen recalled first seeing Watry play the summer before his freshman year. "Right away Nick stood out as being highly skilled," he said. "Boys change so much. He was young and small. but highly skilled and continued to improve a lot." When asked how long it took Watry to pass 'the eye test,' Owen quickly said "About 15 seconds. With a guy like Nick when you are coaching long enough, it doesn't take long to see. To make a varsity team as a freshman, that doesn't happen every year. We haven't had many freshman make the team, let along start on a team that went to state." Watry has had an excellent career at East, starting with his freshman year, as he was part of a 6-2 in team which lost in the semifinals of the state tournament. He was honorable mention all-conference and started on a team, which was ranked tops in state at one point, that lost in the sectional finals. "It was really disappointing," he said about missing out on state. "I take it really hard. It was definitely a sore wound for a couple months. But the next season I wanted to come back and get to state." Last season he made it back to state and lost in the semifinals. He recorded a triple double in terms of kills, sets and digs in the quarterfinals. "It was an awesome experience coming back," Watry said, "having a lot more impact than I did my freshman year. As one of a couple leaders on the team, it was a really cool experience to do all of that again as a junior." Watry admitted that the second time around helped him at state. "I think it helped with nerves," he said. "The first time I walked out as a freshman, I was really, really scared - there were like 1500 people there. But I had been there before and I just knew what was expected of me." The Watry, a first-team all-conference selection, when asked about his goals for this season talked about his team first. "As an individual, I just want to help to lead my team to state and everything else will follow," he said. "I know what it takes to get there. And if we do all that correctly, I think we can get there. "State is an amazing experience. It was definitely not something I expected. But once you experience it, all you want to do is go back and experience it again." Looking back, Nick talked about how he got into volleyball in the first place. In sixth or seventh grade, I watched my sister (Kate) play," he said. "Volleyball looked like a lot of fun so I went out and tried it. It's fast-paced and had a lot of movement. I could have a big impact. It's not like other sports where you might not get the ball. "I really didn't have any experience at all. I just was able to grasp this sport really quickly. I never stopped playing and that's where I ended up." Owen talked about 'where' Watry has ended up recently. "One thing that stands out is he has started for us since his freshman year, so it's his knowledge of the game," Owen said. "He has a very high volleyball IQ. Sometimes you have setters who are just ball placers. They're more the quarterback, the catcher in baseball. They can run the show. "Nick knows everything that's going on there. He can tell if the middle takes a step the wrong way, we can get a 1-on-1 (hitter on a blocker). He is athletic enough that he can get to balls that other guys can't get to and still be able to deliver it. He can save balls. "But his IQ and skill set athletically allows him to do that and you don't see that very often." But Nick knows he isn't perfect. "I need to work on my defense, passing the ball, which is the first contact after I serve," he explained. Watry was a member of High Performance A1 team the last three years, a feeder program for the Olympics tryouts for the top 40. Last year he played up a grade at the club level and they took fifth in the nation on the 18-and-under team. "These are a lot of Division 1 players, who are 6-feet, 6 inches," Owen said, "So they are always 5-1 with Nick as the setter." 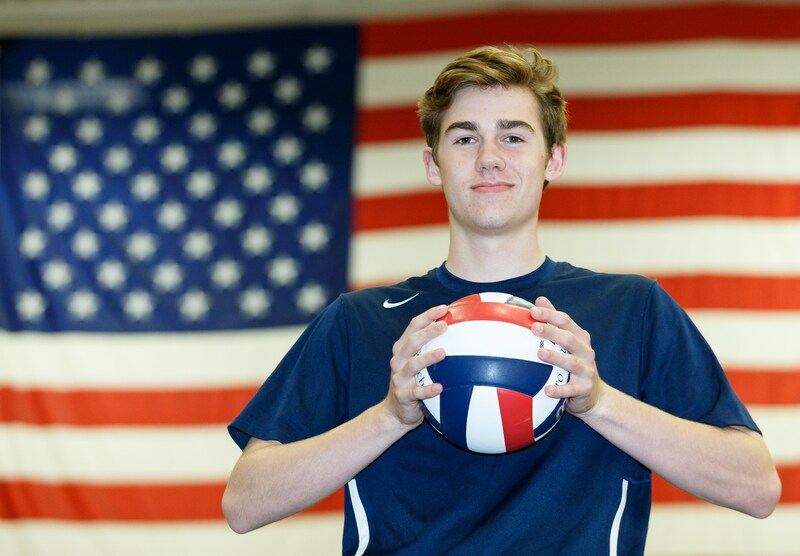 Watry admitted volleyball keeps him busy year-round. "Off-season! There is no off-season," he laughed. "I play year round. The club starts two weeks after school ends." Owen thinks Watry will have a place in the Spartans volleyball history. "His experience and knowledge of the game, that's where he demonstrates some strong leadership. Nick might go down as one of the more decorated players for team success," he said. "What a 4-year stand he's had. He understands where things are at. We're transitioning guys in new roles and he's a teacher now." Watry enjoys playing for Owen these past four years. "He is very low key. It takes a little adaption to his coaching style but once you learn his coaching style I believe he's the best coach in the state," the star pupil said. "He gets the most out of all his players. He makes them better and keeps the team in a cohesive group to get something out of every single person." FAVORITE MUSIC/GROUP: Jon Bellion (Pop). FAVORITE MOVIE: Comedies (Shark Tales). FAVORITE TV SHOW: White Collar. FAVORITE CLASS: AP Government (college class on politics). FAVORITE PLACE YOU VISITED: Cape Cod on the ocean. WHAT DO YOU DO TO RELAX? Watch Netflix. Take a nap. MOST MEMORABLE SPORTS MOMENT: Going to state tournament last year. WHAT WOULD YOU LIKE TO DO IN THE FUTURE? Major in Economics, Business and play volleyball at the next level.